Did you know that reading books impact your child's brain? My father introduced me to the world of books when I was a child. The American Academy of Pediatrics advises parents to read to their children daily, right from birth! When my son turned two years old, I used to take him every week to the British Library, put him in the children's section where kids of all ages were reading books and just watched over him. The impact is what I want to talk about. Spending every Saturday at the British Library perked up his curiosity about books. When he saw other children immersed in picture books and so on, he would wait for them to put down those books, crawl over and try to turn the pages, which wasn't easy because, well, you know, toddlers don't find that kind of focus and balance. But a memorable beginning was made and this was our weekly routine for many years. Gradually, we began reading out books together. This turned out to our bonding time too. 1. Reading exposure during the critical stage of development prior to kindergarten seems to have a meaningful impact on how a child's brain processes stories. 2. Brain areas supporting mental imagery showed activation, thus affirming the invaluable role of imagination are stimulated. 3. This becomes important as children advance from books with pictures to books without them, where they have to imagine what is going on in the text. Research by David Lewis, neuropsychologist at the University of Sussex shows that reading reduces stress levels by 68 per cent. Just as listening to music relaxes the mind, reading is proven to provide stress relief. The most powerful lesson I learned is this - our choices can have a positive influence on our child's mental growth and quest for knowledge. 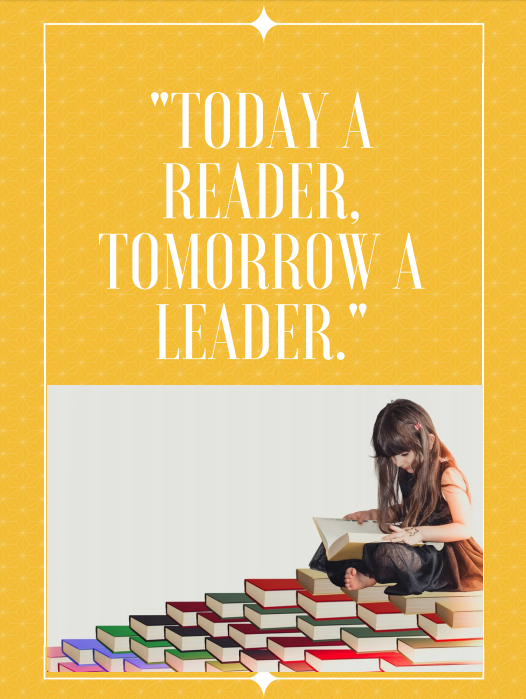 Read out a great story every day, laugh together and grow together. And if you enjoyed reading this post, do read ''A Dad's Advice to the Daughter He loves''.